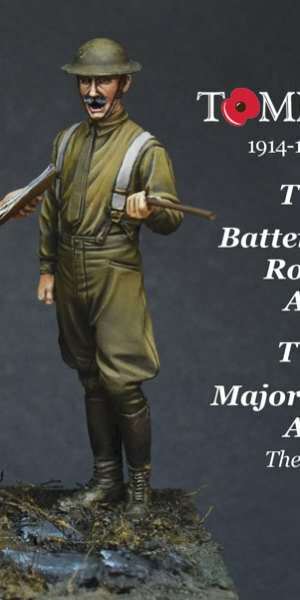 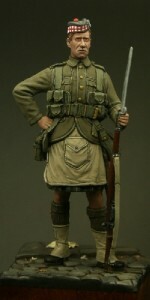 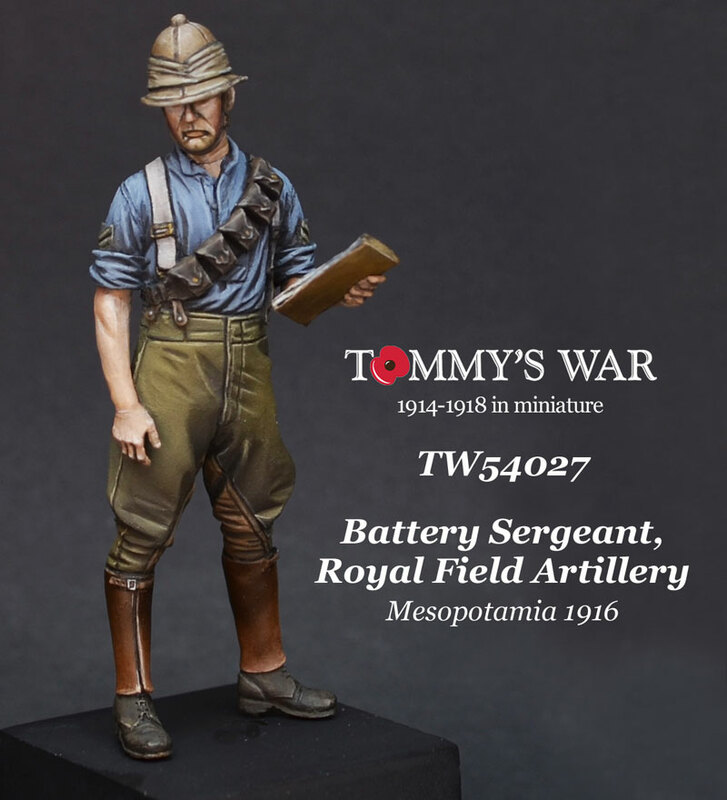 This figure depicts a Battery Sergeant of the Royal Field Artillery as he would have appeared in France or Belgium from 1916. 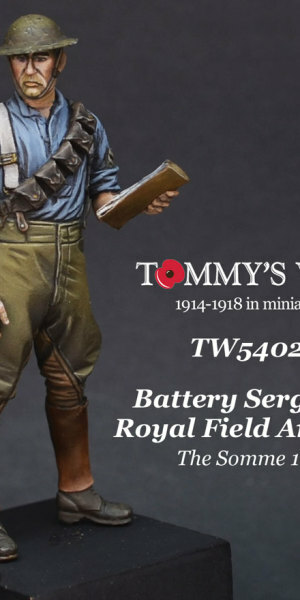 Shown wearing leather leg protectors and in shirtsleeves (the summer of 1916 was warm) he is holding a clip board as if positioning artillery. 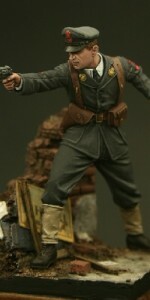 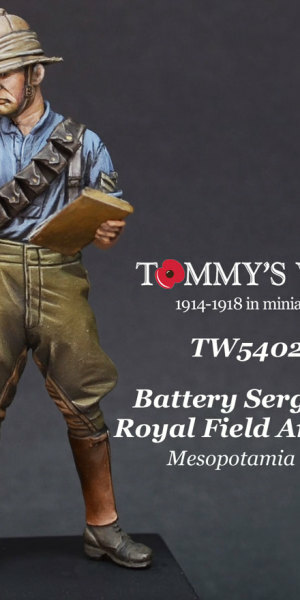 The figure is ideal to position with our Ordnance QF 18 pounder field gun and also figure TW54028 (Major, RFA). 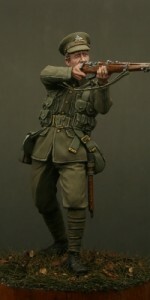 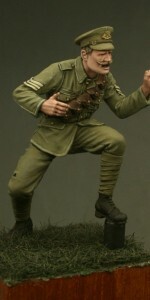 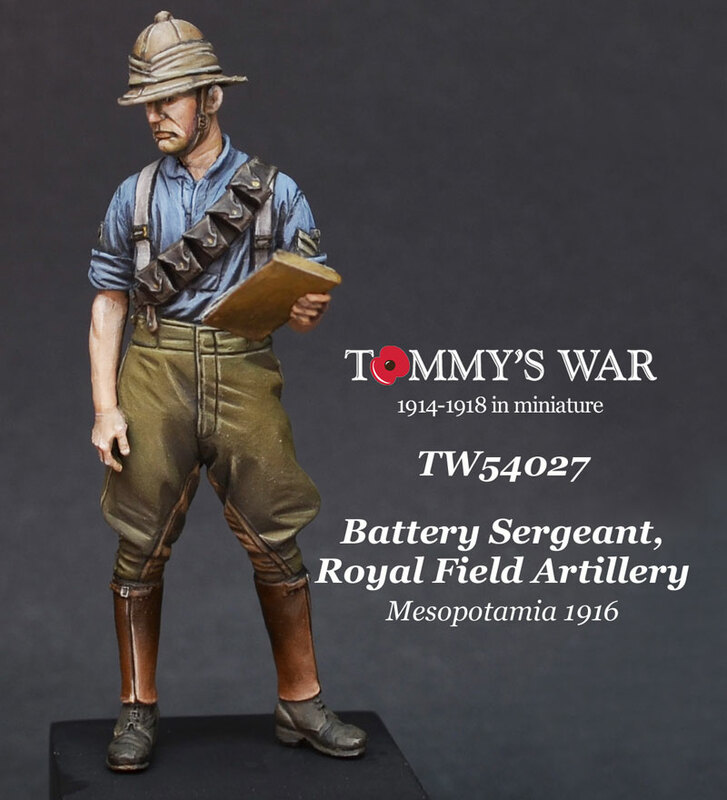 The figure also comes with an alternative head wearing a Wolseley helmet, by using the head variant it can depict a gunner of any of the Middle-East campaigns including Mesopotamia, Egypt and Palestine. 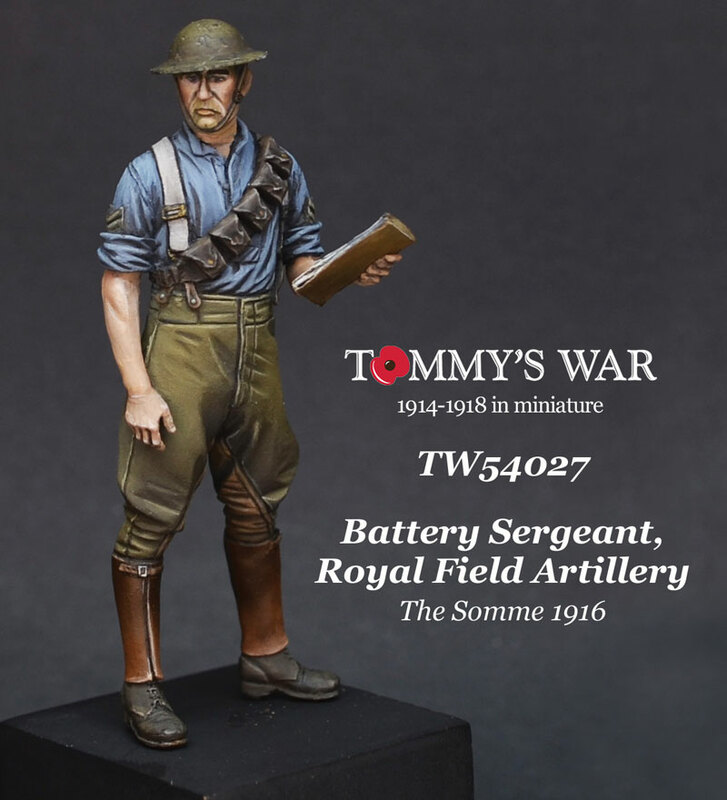 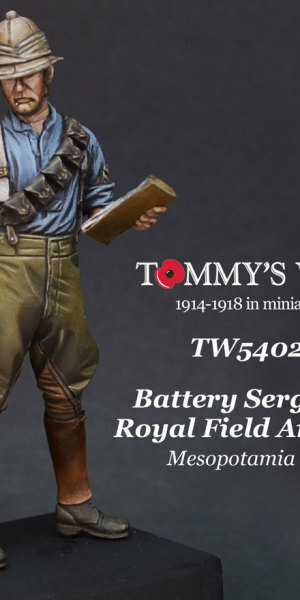 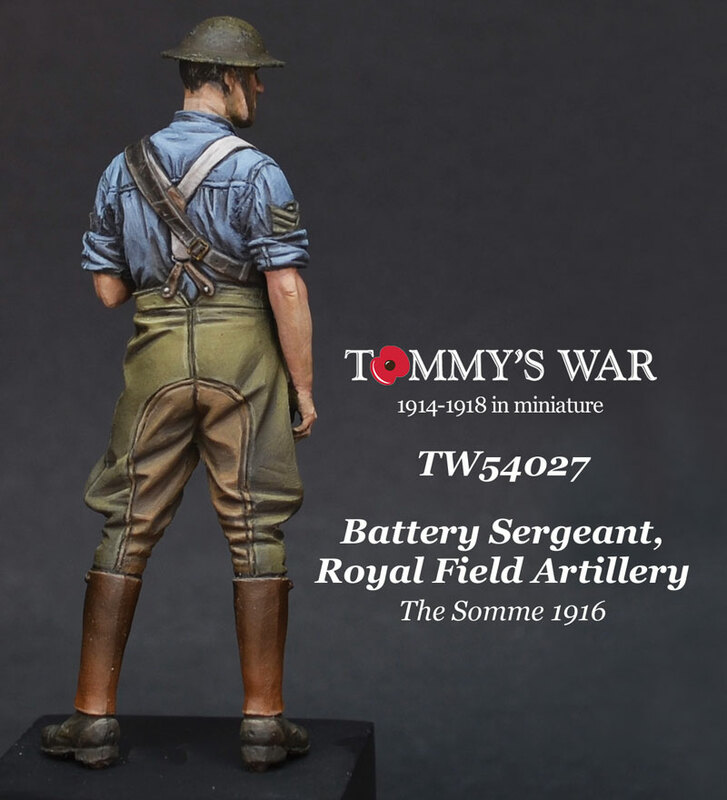 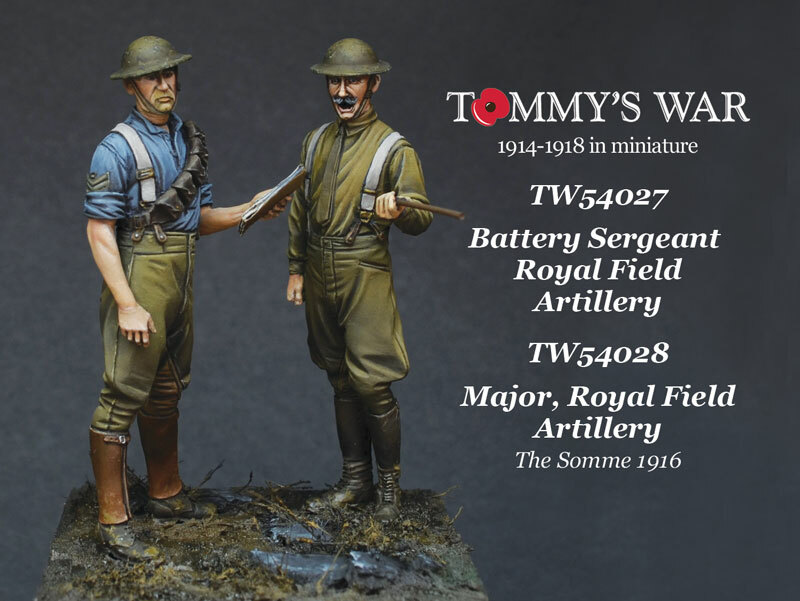 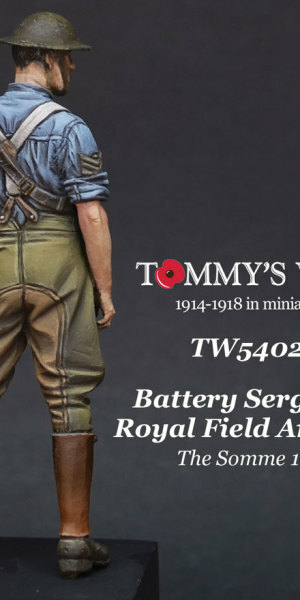 Be the first to review “TW32027 – Battery Sergeant, Royal Field Artillery, The Somme 1916” Click here to cancel reply.